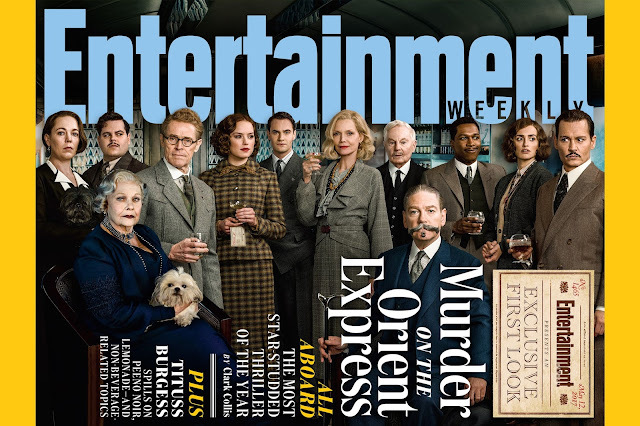 The blogging team at Mystery Playground has been ramping up for the big screen release of the new Murder on the Orient Express, starring Kenneth Branagh and Johnny Depp. In preparation for the premiere, we decided to rewatch the two previous films and give our review of those adaptations. Looks for our special Murder on the Orient Express drink this Friday on Drinks with Reads. 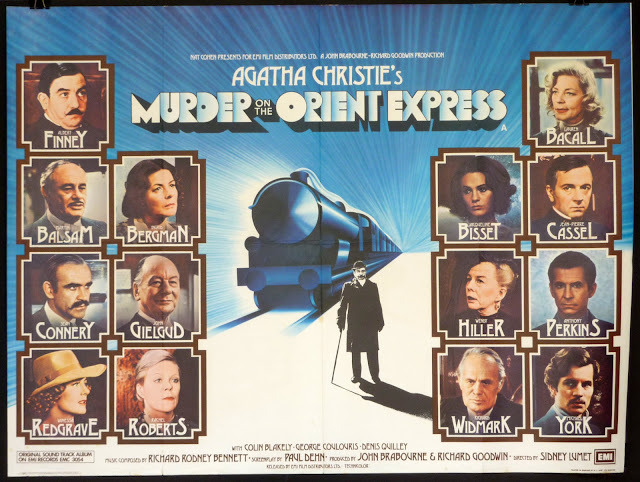 The first movie adaptation was released in 1974 and starred Albert Finney as Hercule Poirot. The all-star cast included Lauren Bacall, Ingrid Bergman, Jacqueline Bisset, Sean Connery and Vanessa Redgrave. Finney plays a somewhat comical Poirot whose mannerisms and appearance are exaggerated. His physical resemblance to the Poirot of the novels is slightly different. Finney plays the character as condescending, loud, and boisterous, rather than soft spoken. At times Poirot even seems a bit ridiculous. The supporting cast is a large part of what makes this movie so well done. Each and every actor is a star in their own right and to see them all in one place, playing such diverse roles, is spectacular. The 2010 Murder on the Orient Express adaptation starred David Suchet as Hercule Poirot. Suchet has played Poirot in a film version of every Poirot story that Agatha Christie wrote and has spent 25 years perfecting the character and studying his personality, mannerisms, and quirks. Suchet’s portrayal of Poirot in this film takes on a darker feel than the other movies he stars in. 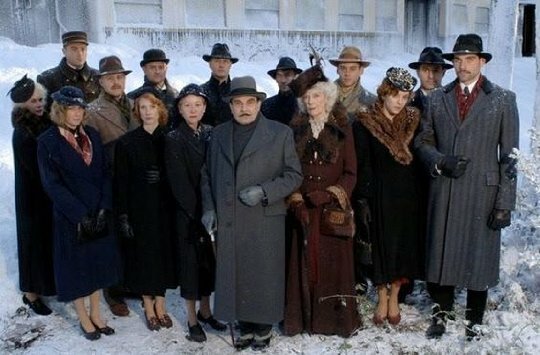 Poirot’s religion plays a large part in how he tackles this investigation and Poirot seems very torn between his religion and the suspects’ treatment of the law. There seems to have been more artistic license taken with this movie version and Poirot’s inner torment is, at times, a bit exhausting. It will be great to see how the characters are portrayed in the 2017 movie. Do you have a favorite version? Labels: Agatha Christie, movies, Murder on the Orient Express.